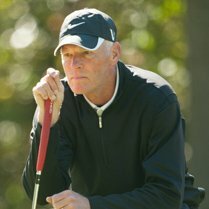 Mike Dowaliby, retired in 1999 after 22 years as the PGA Professional at Whitefish Lake Golf Club in Whitefish, Montana. It is fitting that Dowaliby becomes the first member of the Pacific Northwest Section from Montana as he mentored many of today’s PGA Professionals in Montana. At Whitefish Lake, Dowaliby was known for his strong junior programs teaching many young people about the game of golf and providing life lessons along the way. Two of his juniors run the Whitefish Lake Golf Club today. Former Dowaliby assistants Tim Olson and Christine Newton continue what Dowaliby started, serving today as the PGA Head Professional and PGA Assistant Professional respectively. 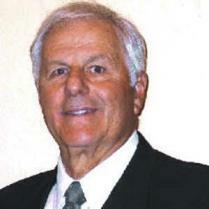 As the Head Golf Coach, Mike’s teams won three Boys and two Girls State Championships in the early eighties. Following Dowaliby’s tenure as coach juniors from his programs won another 13 state titles! One of Dowalibly’s juniors, Dane Thorman won the 1984 State Championship and today is the PGA Teaching Professional at Iron Horse Golf Club in Whitefish. Dowaliby’s golf shop was the first Montana facility to be recognized by Golf Operations Magazine as one of the “Top 100 Golf Shops” in America. A PGA Member for 50 years, Dowaliby began his career in 1960 in at the Woodland Hills Country Club in California. In 1968 Dowaliby opened the Calabasas Country Club also in California as their first PGA Professional and set out building a large Junior Golf Program. Finally, in 1977, the native Californian took over the helm at the Whitefish Lake Golf Club and for the next 22 years exemplified what it means to a PGA Professional and a gentleman. Both men will be formally inducted into the Pacific Northwest Section Hall of Fame on April 26, 2013 at the Pacific Northwest Golf Hall of Fame Induction Ceremony. This joint celebration between the Pacific Northwest Section PGA and the Pacific Northwest Golf Association recognizes those that represent the very best in the game of golf. The Pacific Northwest Section is organized as a not-for-profit corporation and is one of 41 geographical regions of the Professional Golfers’ Association of America. It includes the states of Washington, Oregon, and Alaska, as well as northern Idaho and western Montana. It is the largest geographic section of the PGA of America, and with approximately 1,100 PGA members and apprentices, ranks sixth among the sections in number of professionals.